One of the earliest examples of my work in my portfolio, this site dates back to 2011/12 and is therefore not responsive or mobile-friendly in its current iteration. 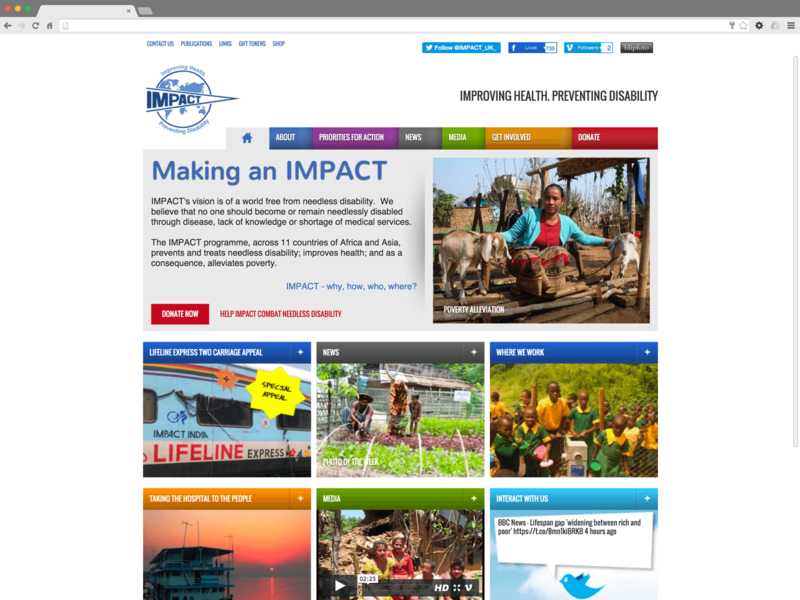 Included here to show how IMPACT’s branding inspired the overall look-and-feel of the site, and how the key design features remain relevant some 5 years or more after it was designed. The site is WordPress-based, which allows the client’s teams to maintain the site and keep it updated with details of the charity’s work.